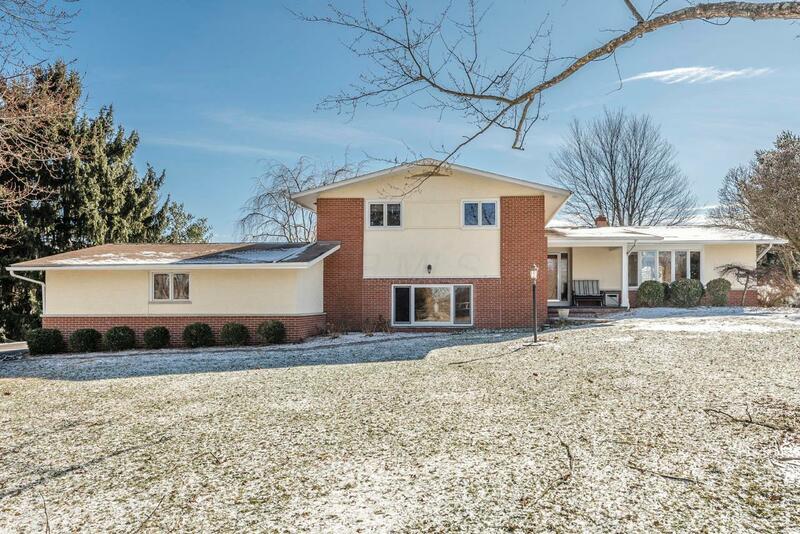 A scenic, winding driveway leads to this solid 4 level split on nearly 2 acres! Laminate floors greet you at the entry! Glowing, refinished hardwoods adorn the living and dining rooms and the upper level! Pretty cherry kitchen opens to eating area! Gaze out the awesome Peachtree windows and enjoy the scenic winter landscape! TWO family room spaces, one has brick fireplace! HVAC NEW in 2018! FOUR car garage! Owners even planted a vineyard! Just 2 miles to Old Dublin and hot new Bridge Park. Own in Dublin's most historic neighborhood! A winter wonderland!